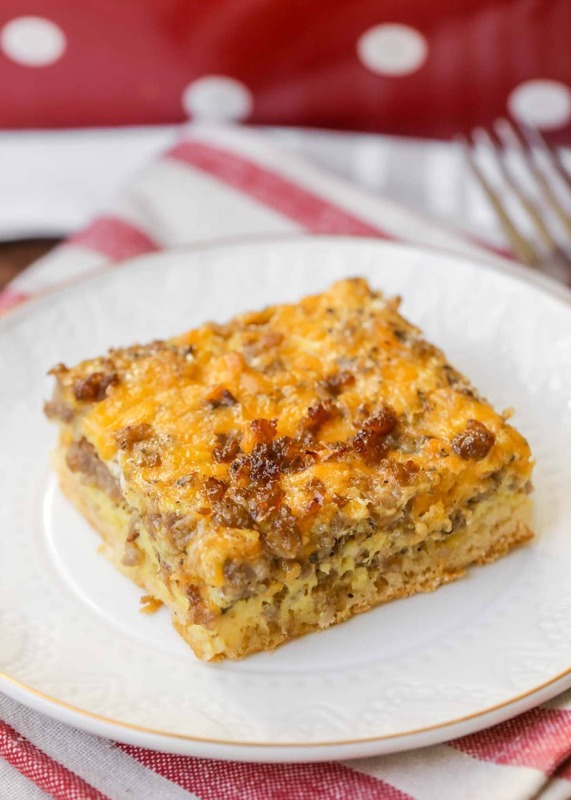 Sausage Breakfast Casserole – eggs, sausage, milk, cheese, and seasonings all layered upon a crescent sheet! The perfect way to start off your morning!! 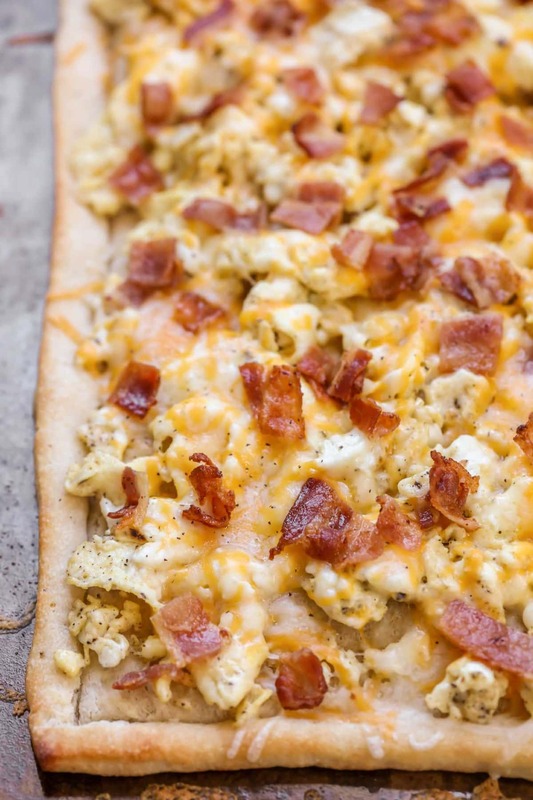 We can’t count how many times we’ve mentioned our love for breakfast recipes. From muffins to pancakes to French Toast to eggs – we love it all! 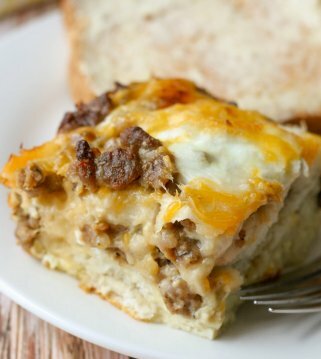 And one of our favorites are breakfast casseroles. 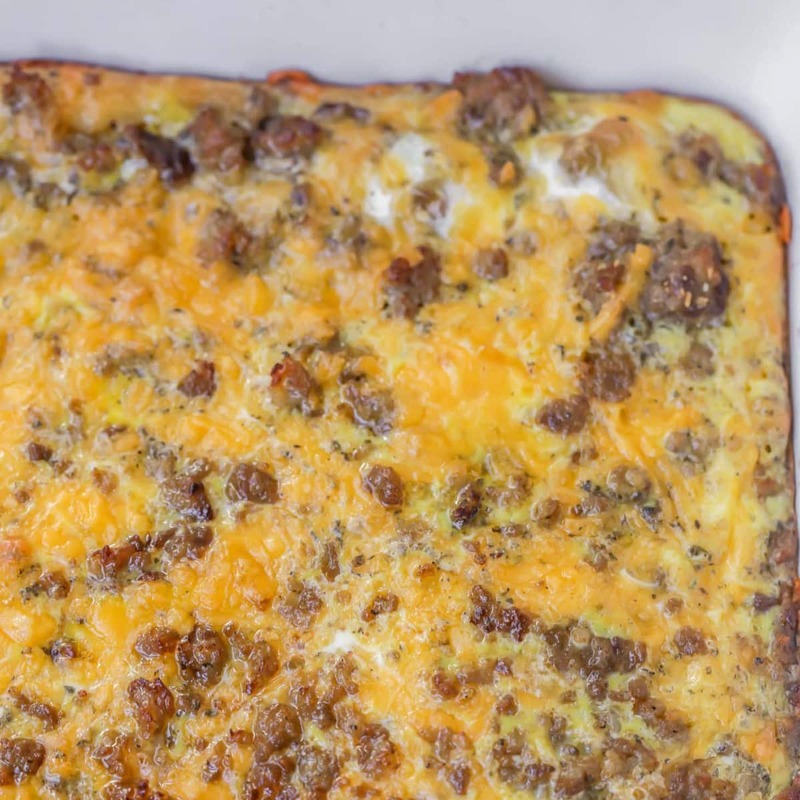 Today’s recipe includes a few of our favorite ingredients, including sausage, eggs and crescent rolls. We saw the recipe on Hello Happiness, and decided to give it a try. The casserole really was simple to put together and was ready in a short 20 minutes. Start the casserole by preparing your sausage. While the sausage is browning, unroll the crescent sheet and spread onto the bottom of a greased 9×13 pan. 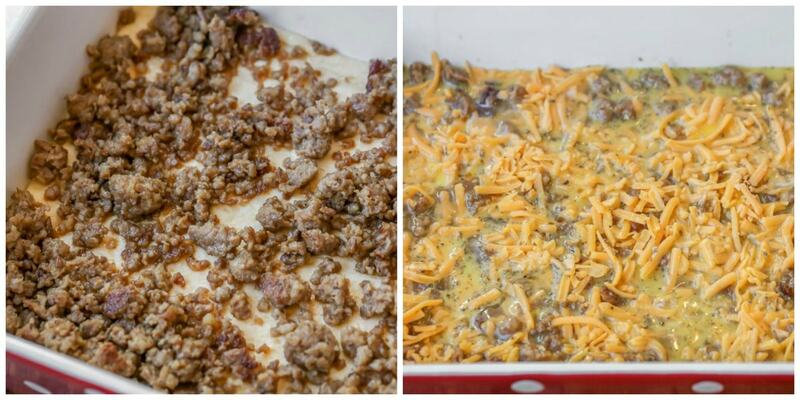 Spread the sausage over the dough and sprinkle the cheese on top. 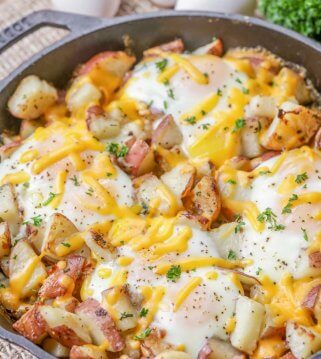 Whisk together eggs, milk and seasoning in a bowl and pour over the top of your casserole. Bake at 400 degrees for 15-20 minutes. When the eggs are set and the crust is golden, the casserole is ready. Can you make this sausage casserole ahead of time? Yes, you can! You can make this up to 24 hours before cook time. Just cover and place in fridge until ready to cook. 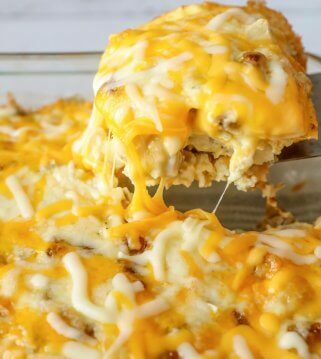 Which cheese works best for this dish? We like cheddar, but most combos work for this. You can even use a Mexican or Monterrey Jack cheese and add chopped peppers to give it a more Mexican-style taste. 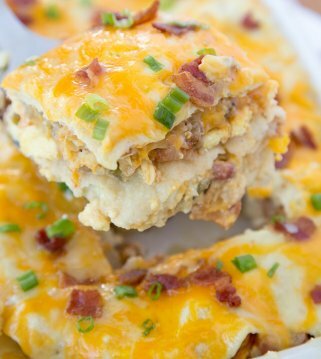 How to store breakfast casserole with crescent rolls? Once cooked, cover and keep in fridge for 4-5 days. Reheat in the microwave. Can you use pre-cooked sausage for this recipe? Yes, you can. It makes it even more simple and quick. You can also change up the sausage if you like a more mild or spicy version. Can you use crescent rolls instead of a crescent sheet? Of course. Just be sure to pinch the seams together when placing in the bottom of your pan. 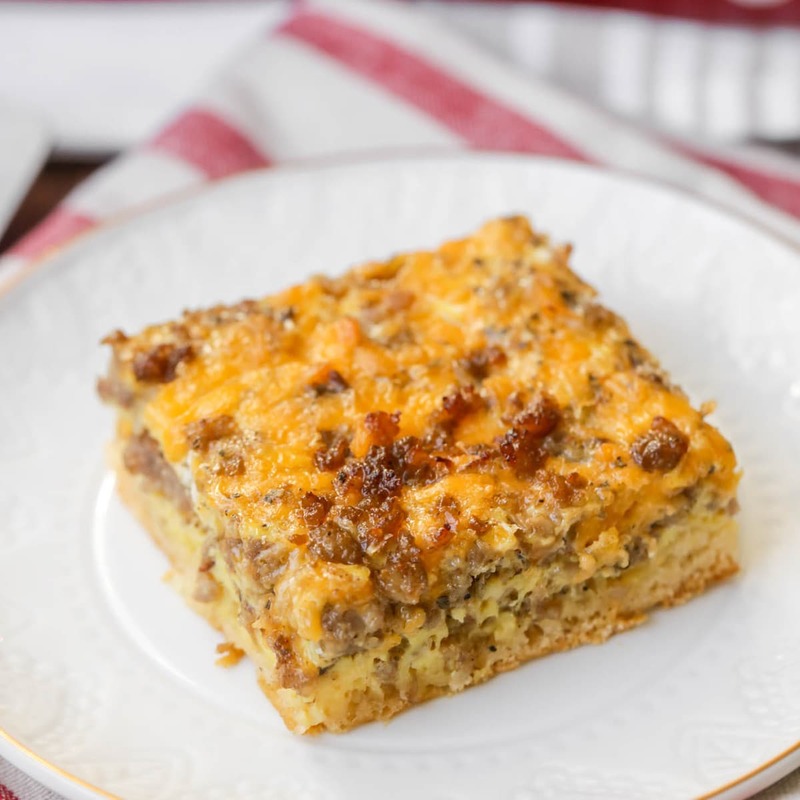 Two thumbs up for another simple, delicious and cheesy breakfast casserole perfect for holidays, brunches and more! 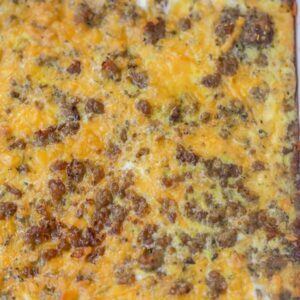 Sausage Breakfast Casserole - eggs, sausage, milk, cheese, and seasonings all layered upon a crescent sheet! The perfect way to start off your morning!! Brown sausage in a skillet over medium heat, breaking it up as it cooks. Unroll crescent sheet and spread onto the bottom of a greased 9×13 pan. Evenly spread sausage over the dough. Sprinkle cheese on top. Bake at 400 degrees for 15-20 minutes until eggs are set and crust is golden. For sure!! That would be a great addition! Absolutely delicious! I kept recipe as is! I am so glad you liked it!! Thank you so much! This looks sooo good and I love the idea of using crescent rolls! Can’t wait to try it out on the HUBS. So delicious and Quick and easy! Will DEFINITELY be making this again! This is an excellent receipt and my family loves it. I am so happy to hear that!! Thank you for letting me know!